Gwalior is a city located in Madhya Pradesh. It is well-known for its palaces, temples, mosques, statues and is surrounded by greenery. Every year the Tansen Music Festival is celebrated in Gwalior as it is the birthplace of Tansen. The economy is slowly growing and the needs of the people too. Getting a personal loan in Gwalior has now become convenient as due to the quick loan apps. These are also called as cash loan. These apps allow people to get a quick loan online with minimum documentation. 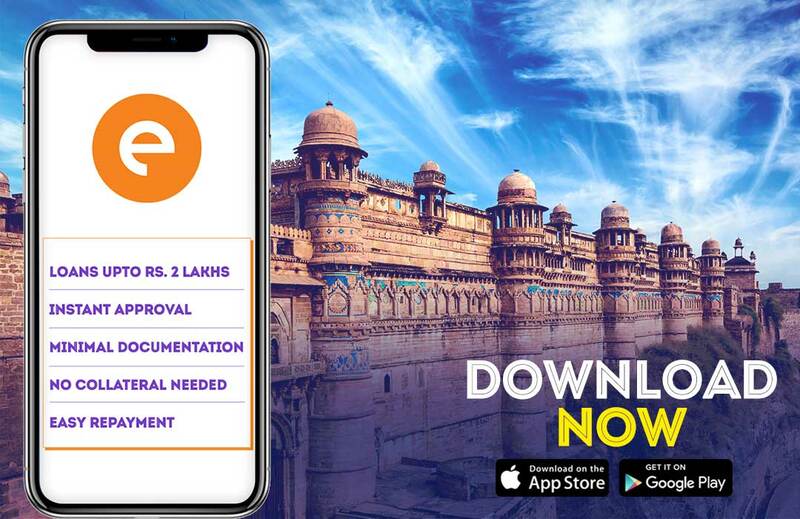 One can apply for a personal loan in Gwalior whenever they require it, as these cash loan apps are available on google play store and apple app store 24/7. A cash loan app provides various benefits to its users. The entire process is private and one can get a loan without involving anybody. These online lenders have a very secure process. Once your quick loan is approved the cash is directly transferred into your personal savings account. This is one of the major benefits it offers. The process of application is very simple and faster compared to the traditional bank loan, this is one of the reasons personal loan is popular via the cash loan app. One can take loan starting from INR 10,000 to INR 2 Lakh. The duration of such loans is normally 15, 30, 90 and 180 days. You can choose the duration of the loan as per your repayment capacity. People take a quick loan for various reasons such as medical emergencies, their home repair expenses, travel expenses, festival shopping, educational fees, for a balance transfer, to top-up a loan, to buy any new asset. The reason can be a planned event or unplanned event, one doesn’t have to specify it while taking a loan. To avail, a cash loan one has to be a salaried employee of a registered company. Anyone who is working with a registered company can apply for a personal loan in Gwalior without any restrictions. One of the required documents to submit is your salary slips from the current employer, so you need to have 3 to 6 months’ salary slips. You have to submit your income proof along with bank statements. Submitting your pan card is mandatory to get a cash loan. Apart from these, you need to submit your address proof and identity documents as well. This includes your utility bills, passport, Aadhar card, driving license, voters ID. The interest rate is quite low as cash loan is a short-termed loan. The interest rate normally starts at 2.5%. A quick loan is an unsecured loan, you don’t have to submit any ownership documents. Apart from these, the repayment process of the cash loan app is very smooth. One can simply transfer the amount from your bank to the loan app. The app will send you reminders to that you don’t miss out the due date and avoid the extra charges. This is how easy it is to get a personal loan in Gwalior.